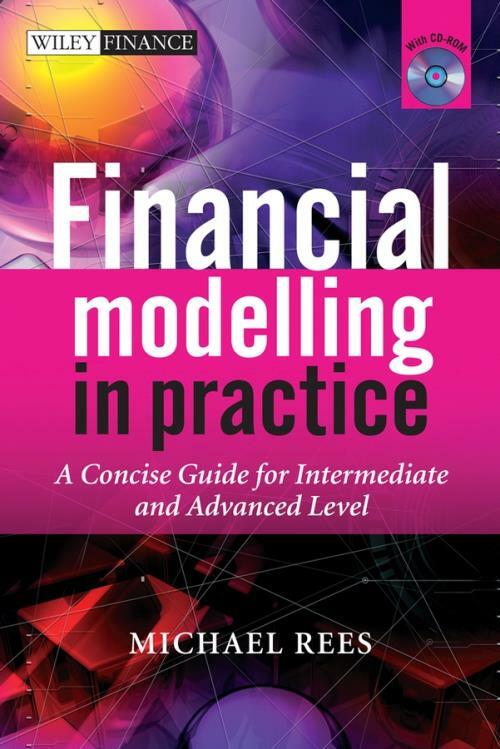 Financial Modelling in Practice: A Concise Guide for Intermediate and Advanced Level is a practical, comprehensive and in–depth guide to financial modelling designed to cover the modelling issues that are relevant to facilitate the construction of robust and readily understandable models. Based on the authors extensive experience of building models in business and finance, and of training others how to do so this book starts with a review of Excel functions that are generally most relevant for building intermediate and advanced level models (such as Lookup functions, database and statistical functions and so on). It then discusses the principles involved in designing, structuring and building relevant, accurate and readily understandable models (including the use of sensitivity analysis techniques) before covering key application areas, such as the modelling of financial statements, of cash flow valuation, risk analysis, options and real options. Finally, the topic of financial modelling using VBA is treated. Practical examples are used throughout and model examples are included in the attached CD–ROM. Aimed at intermediate and advanced level modellers in Excel who wish to extend and consolidate their knowledge, this book is focused, practical, and application–driven, facilitating knowledge to build or audit a much wider range of financial models. "An excellent book which presents advanced financial modelling tools and simulations, and applies them to modern aspects of financial management. As a renowned expert in modelling, Michael Rees develops efficient techniques for simulation and sensitivity analysis within an Excel and Excel add–on framework using many useful and transparent applications in the context of company valuation, derivative business and risk management, enabling the reader to develop good models themselves. A unique book which is highly instructive and motivating." "Mike Rees′s book fills an important gap in the literature on how to model financial data. It not only provides a whole host of useful suggestions on how to design, structure, build and analyse models; including tips on how use some of the more advanced functionality in Excel, but also in a clear and concise way explains how to include uncertainty in to these models. During the last few years many business′s environment have changed, creating the need to explicitly include uncertainty into their decision making rather than hide behind simple (and often flawed) assumptions of what the future may hold. Mike clearly understands the importance of this area and includes several sections which provide an excellent introduction to anyone starting to apply these types of techniques in their financial models for the first time. It is the combination of best practice modelling techniques, plenty of examples and the basics of some of the more advanced approaches that make this book a useful addition to anyone building financial models."